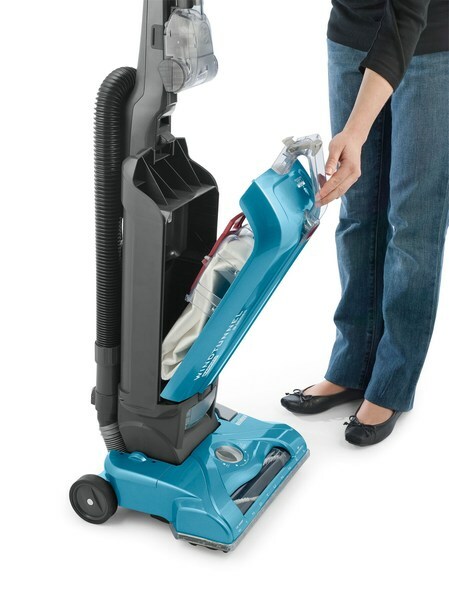 WindTunnel technology - removes embedded dirt1 and minimizes blowback and scatter on carpet. One-Touch Bag Door Release - fast and easy access to the bag. 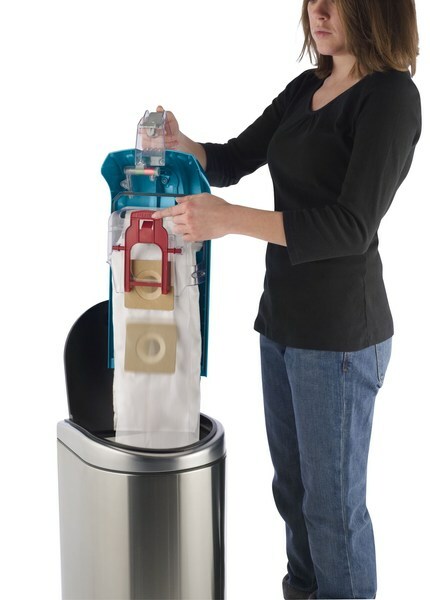 Clean-Drop Bags - one simple touch releases the full bag directly into the trash, so you never have to touch the dirty bag. Intuitive Power Controls - conveniently positioned where they should be - right at your fingertips. Bag made with HEPA media - HEPA Media filters and traps 99.97% of dust and pollens down to 0.3 microns. 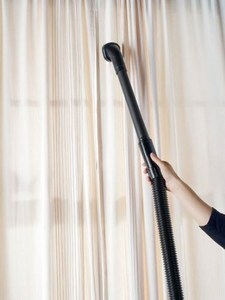 Fabulous Filtration - air passes through filters after leaving the bag and before it leaves the vacuum. 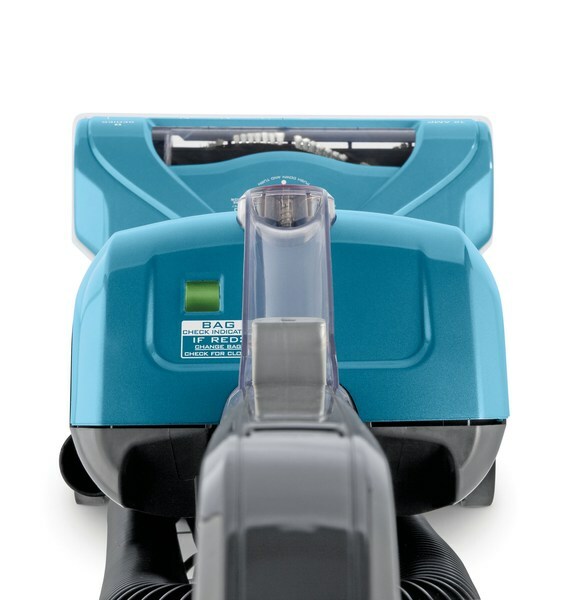 On/Off Brushroll - push button to easily transition from carpet to hard floors. Bag Check Indicator - easy-to-see, shows you when to replace the bag for optimal performance. Headlight - illuminates dark corners and areas under furniture for thorough cleaning. 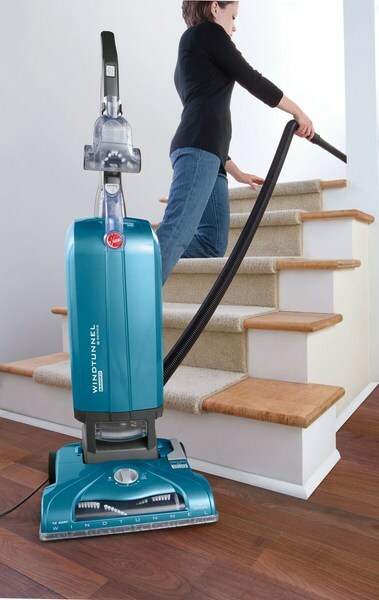 5 Position Carpet Height Adjustment - adjust as needed to clean all flooring types easily and efficiently. 30' Power Cord - vacuum a large room without re-plugging. No Scuff Clear Bumper - protects furniture when you can't be as careful as you'd like. Easy Belt Change System & Brushroll Access - simply flip two levers to change the belt or access the brushroll. Air-Powered Hand Tool - puts hard-to-reach cleaning in the palm of your hand. Extension Wand - to extend reach of the hose. Crevice Tool - helps clean nooks and crannies. 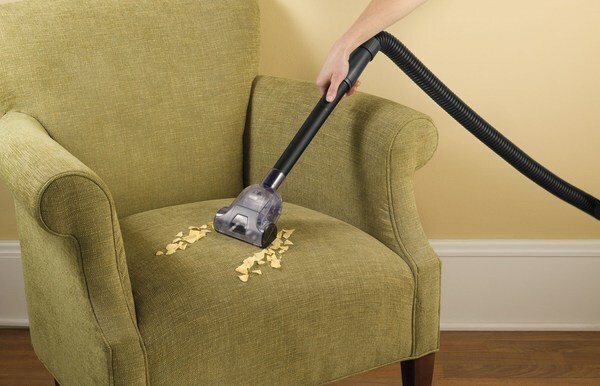 Upholstery Tool/Dusting Brush - helps clean furniture and stairs. 8 ft Stretch Hose - provides instant extended reach.